Upon signing up and paying for the class, you will receive a link to download our ebook, The Essential Step-By-Step Guide to Providing Social Security Planning, which is included in the class price. 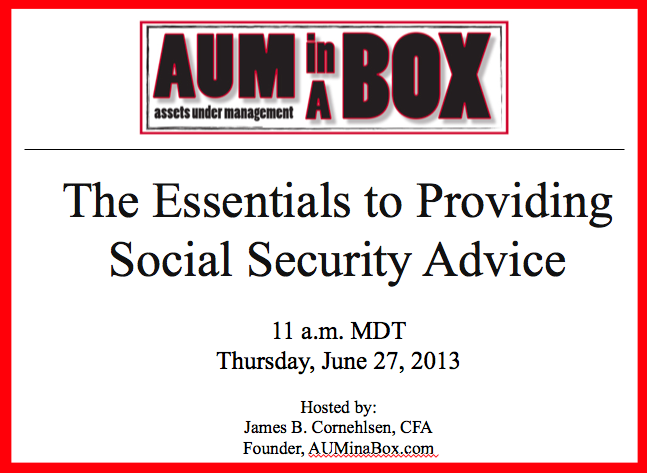 Prior to the June 27th, we will send you information about how to access the webinar. Thank you for your interest!